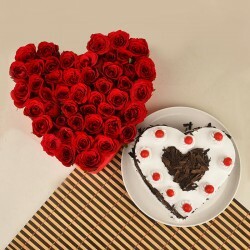 Love is in the air and it is time to celebrate the occasion with gifts. And what better gift you can send than a scintillating bouquet of Red Roses to pamper your truly amazing girlfriend this Valentine's Day. 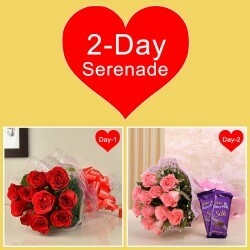 Believe us, it is the best gift you can ever think of, making your relationship blossom like never before! Valentine’s Day is that time of the year when the entire world seems to be possessed by love. On this day, every one of us wants to take our love story to new heights by doing something special for our partner. Isn’t it? So, if you want to impress your girlfriend and tell how you feel about her but don’t know how then, fret not because we have got you covered. 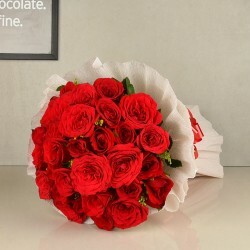 Yes, as you know that impressing your girlfriend is not as easy as brewing a cup of coffee, MyFlowerTree has come up with a scintillating range of Valentine’s Day roses for girlfriend that will do the trick. Since time immemorial, people have been giving roses to their special someone to express their feelings and today roses have become a classic way of saying someone “I LOVE YOU”. Therefore, if there is one gift that perfectly fits into the occasion of Valentine’s Day and matches its vibes, it’s roses. 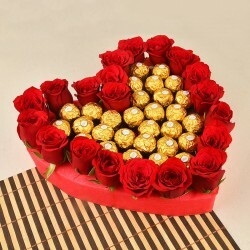 So, if you are scrolling for a perfect Valentine gift for our girlfriend that can emote your deepest feelings for her, buy Valentine roses online from our online gift portal. 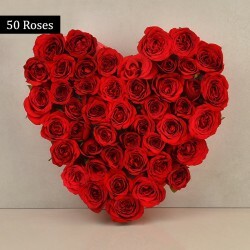 We, at MyFlowertree, have brought you a gorgeous range of Valentine roses online available in a variety of eye-pleasing hues to choose from. 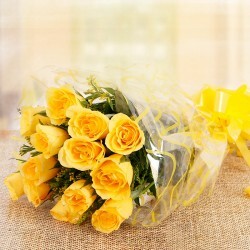 Whether you are looking for red roses or pink roses or yellow roses or white roses or mixed roses, you can find each rose color that matches the feelings you hold in your heart for your girlfriend. With us, you don't have to worry about the quality and timely delivery of your ordered roses on Valentine’s Day because we understand your concerns and therefore, we always deliver freshly arranged roses to our customers in the shortest possible time. Also, all our Valentine’s Day rose bouquets are arranged stunningly by our skilled florists with utmost perfection. 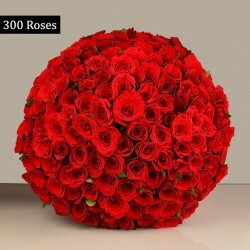 We provide stylish and decorative rose arrangements that come in different shapes and sizes like heart-shaped, dual-heart-shaped, and round, wrapped in decorative papers or vases or baskets etc.So, now buy roses for your girlfriend online from MyFlowerTree, without stepping outside and get it delivered to her doorstep in less than 3 hours after your order placement. 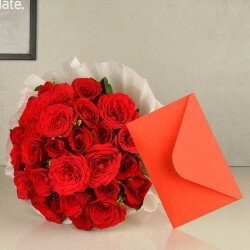 Now, if you are pondering on why should you choose MyFlowerTree to order Valentine rose online then, let us tell you that we provide a hassle-free online delivery across India and in abroad as well to countries like Canada, US, Germany, UK, Australia, Sweden, UAE, France, Qatar, and many other. 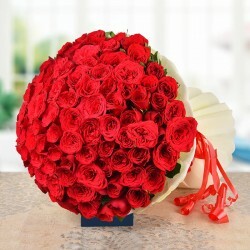 Therefore, now you can send Valentine’s Day roses for girlfriend from miles away and make her feel special on 14th February. 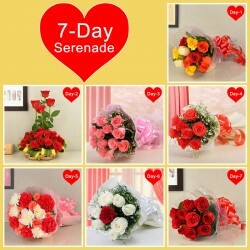 Want The Same Day Or Midnight Valentine Roses Delivery? Choice Is Yours! As it is said that love knows no boundaries, we strive to help you in sending your love for your special woman no matter how far do you live from her. 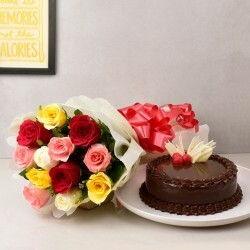 So, even if you are in a long-distance relationship and cannot make it to your girlfriend’s place on Valentine’s Day, who lives miles away from you, don’t be sad because you can send her Valentine gifts online along with a bunch of roses from us via our same day and midnight delivery services. So, this Valentine’s Day, don’t hold your feelings back. Rather, let it flow and strike the right chord of your girlfriend.